A Daily Swing high to close out the week should be an indication that this Daily Cycle has finally topped. 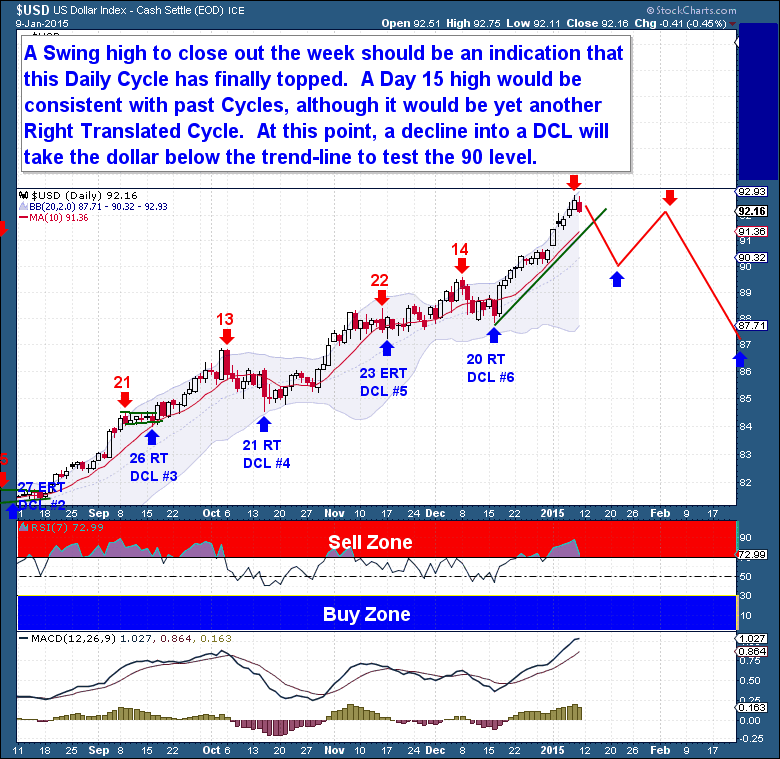 A Day 15 high would be consistent with past Cycles, although it would be yet another Right Translated Cycle. At this point, a decline into a DCL will take the Dollar below the trend-line to test the 90 level. 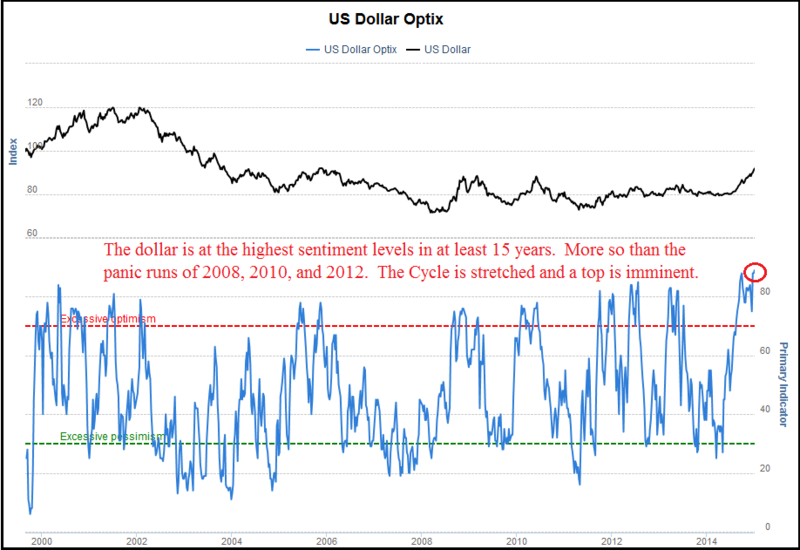 The Dollar is now at the highest sentiment levels in at least 15 years. Sentiment is higher today than it was during the panic runs of 2008, 2010, and 2012. With an Investor Cycle stretched by 15 weeks and sentiment at unsustainable levels, we know that at some point very soon point this Cycle will top and reversed aggressively. Smart money is also positioned at record levels in anticipation of a dollar reversal. 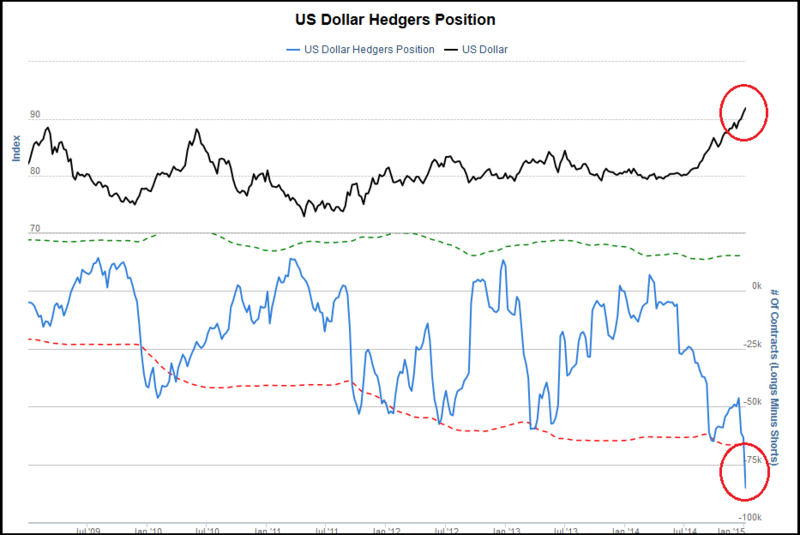 Speculators are at record long levels will the commercial are obviously short. This is obviously yet another clear indication that the extremity of the dollar move is very close to its end point. 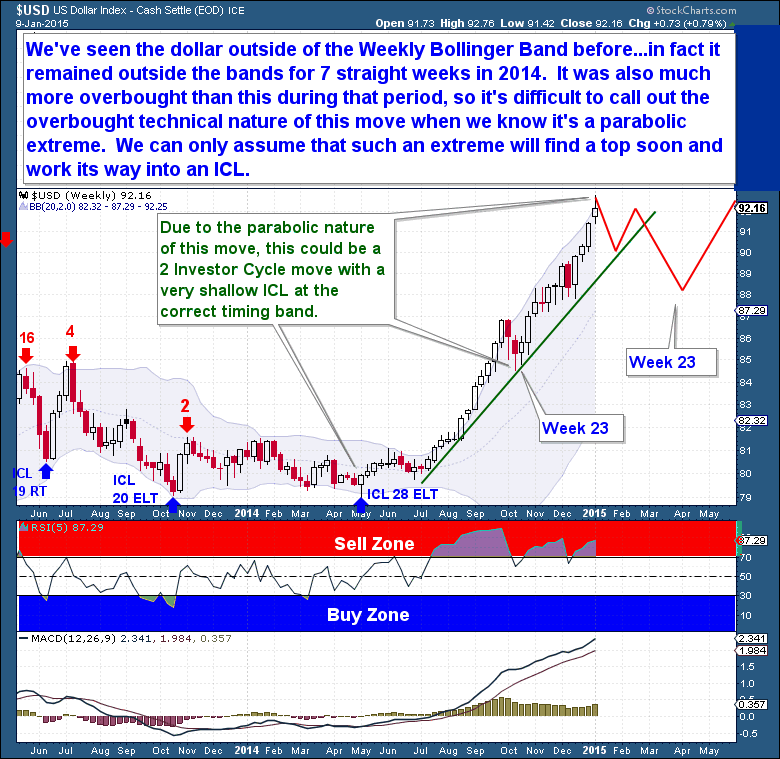 On the weekly chart, the 35 week rally could actually be just 2 normal (in terms of timing only) Investor Cycles. Due to the parabolic nature of this move, we could have a situation where the prior ICL was just a very shallow ICL within the correct timing band. Whatever the case, the dollar is again obviously due to top and turn lower.